Every summer, parents try to find creative ways to entertain kids, and provide activities that they will enjoy and learn from. In my case, it's more on arts and music this year. Recently. 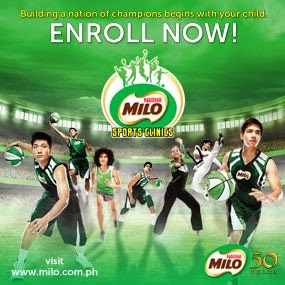 I discovered these programs which I found unique and enriching for little and big kids, though I won't be able to enroll my kids anymore due to conflict in schedules. These are not you typical classes so I hope you'll find them interesting and consider for your children this summer break. If you have not found a summer program for your child yet, check out these unique programs below that are sure to make an impression on the youngsters. Call now for inquiries, or maybe ask for a free demo! Tinker. Create. Innovate. 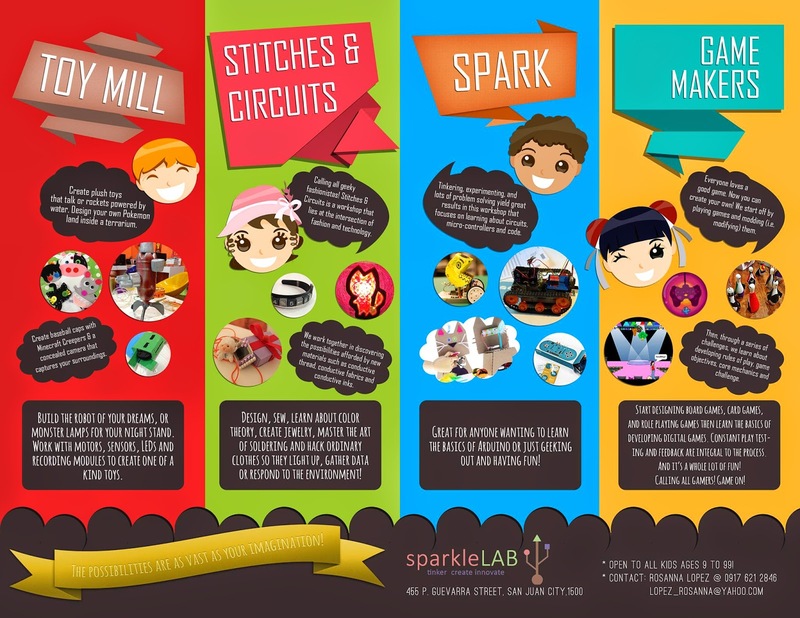 That's the mission of sparkleLAB. 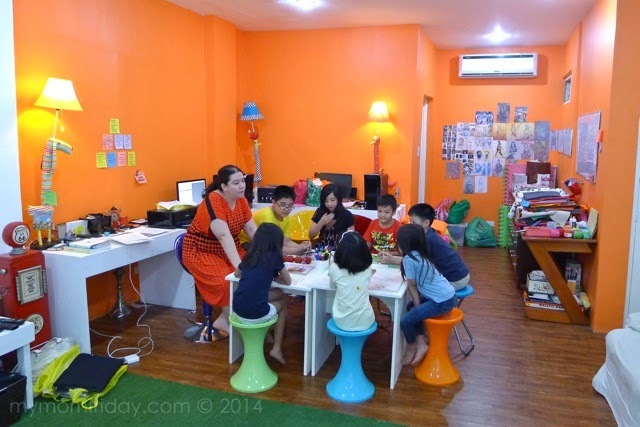 It's a design and production studio and toy factory rolled into one. My daughter and I were able to participate in a demo class where we got to create and sew our first soft toy! According to founder Rosanna Lopez, "we work on projects related to education, the environment and public health. At sparkleLAB, you can create music videos, hack computer parts, create the fashion of the future, or even your own video games!" 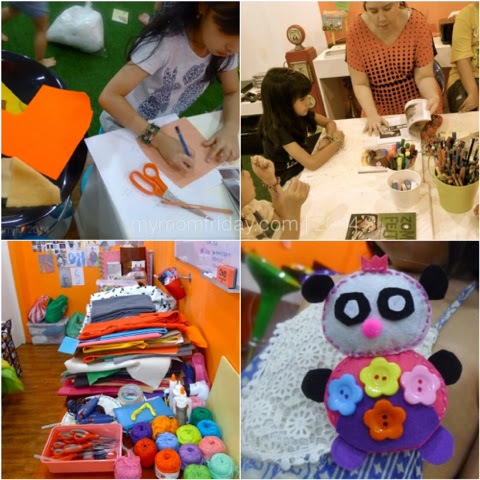 There are 12 sessions per course, inclusive of all materials and gadgets needed for each 3-hour workshop. 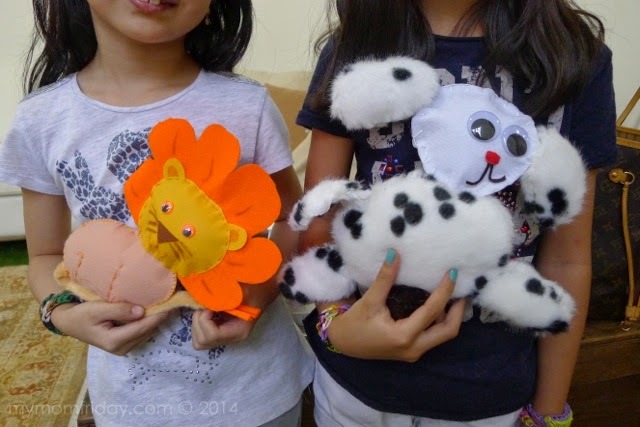 Kids can bring home all their creations and join in field trips too! Very limited slots for April and May, so call now to inquire about your preferred courses. PROMO: 50% Discount on CogMap assessment until April 30, 2014! 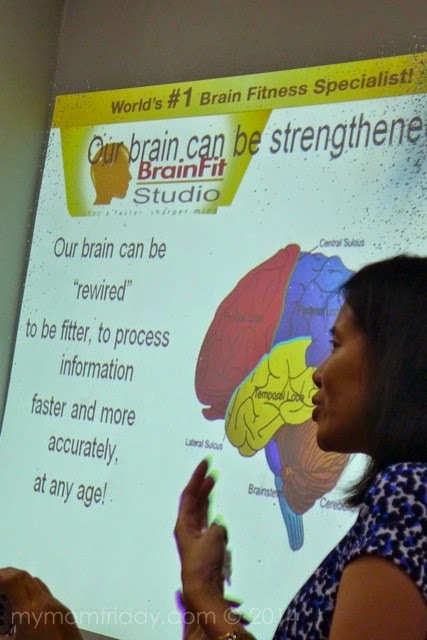 BrainFit focuses on enhancing the 5 Brain Pillars. Below are corresponding programs that help develop your child's skills and address challenges in school and in social settings. Each child, from aged 3 to 18 years old, will be assessed using the CognitiveMap. 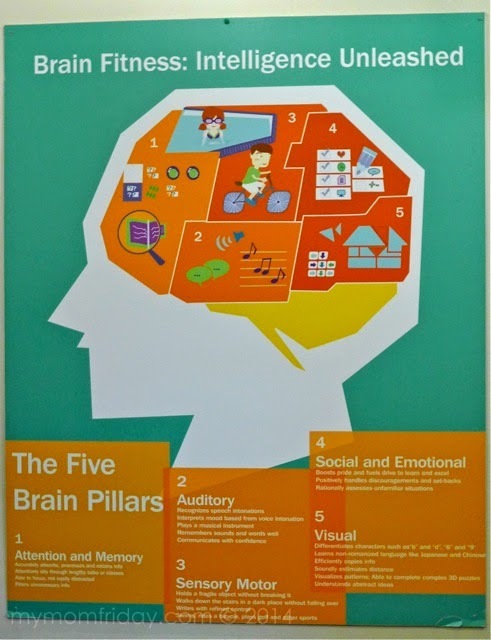 The 2-hour standardized test will profile / map out the individual's brain in the five areas: visual, auditory, sensory-motor, attention, and social-emotional to find out what's the best program for him. 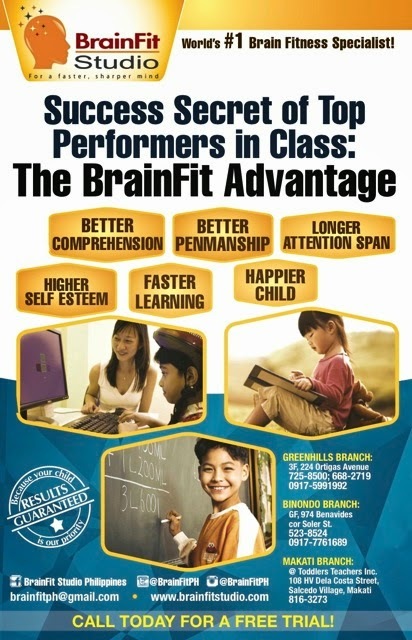 The BrainFit advantage is anchored on building better overall performance of the child, allowing them to effectively acquire, retain, and process knowledge. Their 5 programs can also help children with special needs, like those with ADHD, ASD, dyslexia, language delays, sensory-modulation disorder, and the like. 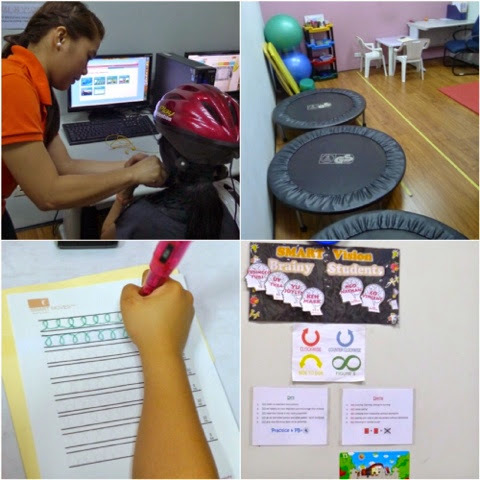 SMART Moves : aims to strengthen sensory-motor brain pillar using proven and personalised gym-based programme that enhances gross motor skills (core stability, balance and coordination, motor planning) as well fine motor skills. SMART Vision : aims to rapidly improve visual brain pillar with a series of movement activities that strengthen eye movement control and visual spatial organization, as well as table-top activities that enhance visual memory and visual-motor integration. SMART Listening : uses patented technology to target rapid improvements in (auditory) listening and language skills that are crucial for your child’s successful learning and communication. SMART Focus : uses state-of-the-art neuro-feedback technology used by NASA and the US Air Force to effectively build key cognitive and attention skills for peak performance. SMART Emotions : aims to build emotional intelligence in children aged 6 to 16 years old through proven methodologies based on the successful Learned Optimism, PATHS, Motivation & Engagement and Aussie Optimism programmes from USA and Australia. 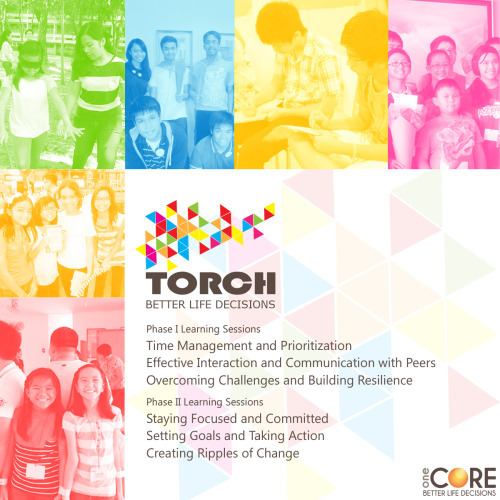 TORCH Leadership Development Program is OneCORE’s interactive and exciting way to support and build children's character, develop and equip them with leadership skills. It's never too early to help your kids and teens make better life decisions. 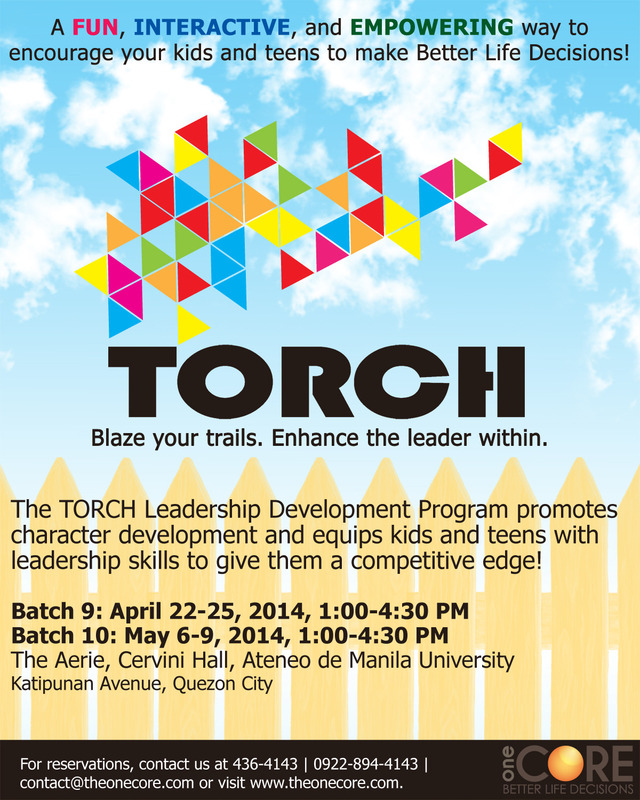 TORCH programs are developed by certified life coach, Pia Nazareno-Acevedo, whose passionate about continually educating the youth with life skills that are equally important but not are taught in schools. Hey moms and dads, what activities are your kids busy with this summer?